Dear family, friends and our beloved animal companions. 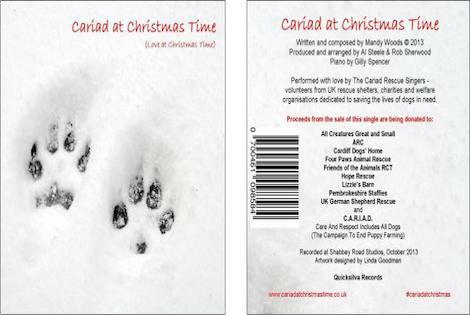 This Christmas you can be part of history by supporting the first charity single of its kind, dedicated to the welfare of rescue dogs in the UK and raising awareness of the plight of puppy farmed dogs and puppies. By uploading this fantastic single, you will be making a difference. Not only will you be helping us to get the message out about the terrible cruelty of puppy farms in the UK, you will also be saving the lives of rescue dogs and puppies.